Perhaps unexpectedly, these nuanced questions regarding masculinity came about through my research which focuses specifically on the development of lesbian sexual identity. 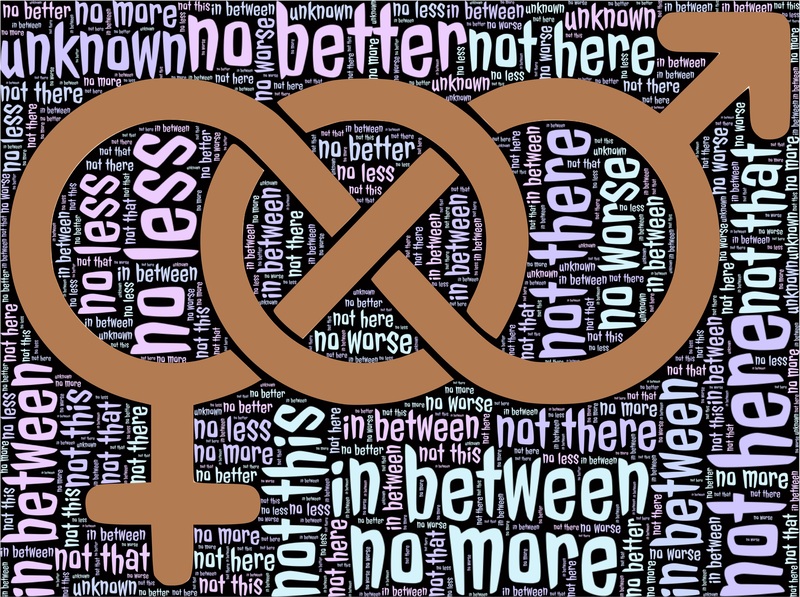 I will soon begin the process of conducting interviews with two unique groups of people: women who identify as lesbians and who at some point in their lives engage in relationships with cisgender men and lesbian-identified women whose partners transition from female to male. My goal with this research is to understand what these two relational situations can tell us about sexual fluidity and the social and personal value of the lesbian label. By investigating potential similarities and differences between these two situations, I hope to be able to shed light on how new definitions of lesbian are being developed and whether or not the lesbian identity category is still relevant in society today. Wait. Pause. You thought that this post was about masculinity, didn’t you? Don’t worry. It is. Consider for a moment the reality of a situation in which a lesbian experiences her partner transition from female-to-male. Upon finding herself in a relationship that could be socially defined as heterosexual, what does this situation mean for the sexuality of the non-transitioning lesbian partner? Is she still a lesbian? Can a self-identified lesbian be in a relationship with a man and still claim a lesbian identity? This rhetoric of desiring to maintain a lesbian identity upon the transition of a partner has been echoed in a number of studies on trans people and their partners. However, (and this is where our key question fits in), what does it mean for the trans man’s masculinity if his partner continues to identify as a lesbian? Research has demonstrated that in these situations, a woman’s commitment to her lesbian identity often does have the power to impact her partner’s journey towards fully embodying masculinity. Some women, despite not wanting to abandon lesbianism, report feeling that an insistence on a public lesbian identity would have the potential to ‘out’ their partners as transgender and could serve to invalidate their partners’ masculine identity. One woman questioned, “How can you be honoring your partner’s transition and maleness if you actively state that you’re a lesbian? Because doesn’t lesbian mean that you love only women?” (Pfeffer 2009: 70). While I don’t claim to have all of the answers, there is a tangle of issues here to consider. In these situations, as the trans man’s masculinity becomes more visible, his partner’s lesbian identity often becomes increasingly invisible. While one possible solution could be to allow the lesbian partner to “out” her trans partner when necessary in order to reaffirm her lesbian identity, this solution brings with it some specific concerns regarding the trans partner’s masculinity. Hegemonic masculinity puts forth very specific rules about what it means to be a man: strong, intimidating, powerful, etc. Some would even argue that masculinity is dependent on a uniquely heterosexual relationship with a woman. Therefore, a woman’s insistence on a lesbian identity could prevent her partner from living up to norms of hegemonic masculinity, threaten his sense of self, and cause his masculinity to become increasingly fragile. In these unique situations the lesbian partner holds significant power in terms of her ability to either legitimize or undermine her partner’s masculinity. This situation undoubtedly leads to questions about whose identity is more important, but it also highlights the inherently social and relational nature of masculinity. What does it say about the role of gender labels in our lives if a person’s masculinity can be challenged solely by his partner’s assertion of her own lesbian identity? Nyamora, C.M. 2004. Femme Lesbian Identity Development and the Impact of Partnering with Female-to-Male Transsexuals.’ PsyD dissertation, California School of Professional Psychology, Alliant International University, San Francisco, CA. Pfeffer, C. 2009. Trans(Formative) Relationships: What We Learn About Identities, Bodies, Work and Families from Women Partners of Trans Men. PhD dissertation. Dept. of Sociology, University of Michigan. Kolbe Franklin is a doctoral candidate in the Department of Sociology at the University at Albany-SUNY where she teaches classes on gender and sexuality. Her research interests include gender identity, transgender experiences, and lesbian identity development. Great post. Definitely hit upon a lot of things I’ve been thinking about. I wonder if bisexual identities were also seen as a “transgressive social status” if more lesbians in relationships with male-identifying people would prefer the bisexual label. As it is, I feel that there persists a “gold star lesbian” attitude, where only people exclusively with women are seen as transgressive and able to enter queer communities. I wonder too, what will happen if and when our ideas of masculinity are less hegemonic. Will that change lesbian’s identity? Or would transgender men be more okay with their partner’s identity as a lesbian if the dominant aspect of their masculinity was not challenged? Thank you for writing this. Definitely a lot to chew on!